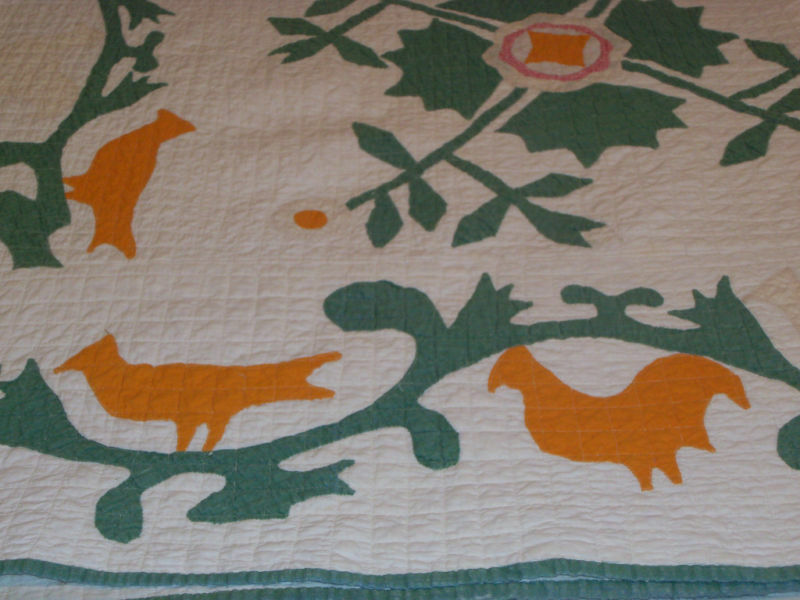 ﻿No, your eyes are not deceiving you, that is cheddar orange fishing bird catching a fish on my antique quilt! 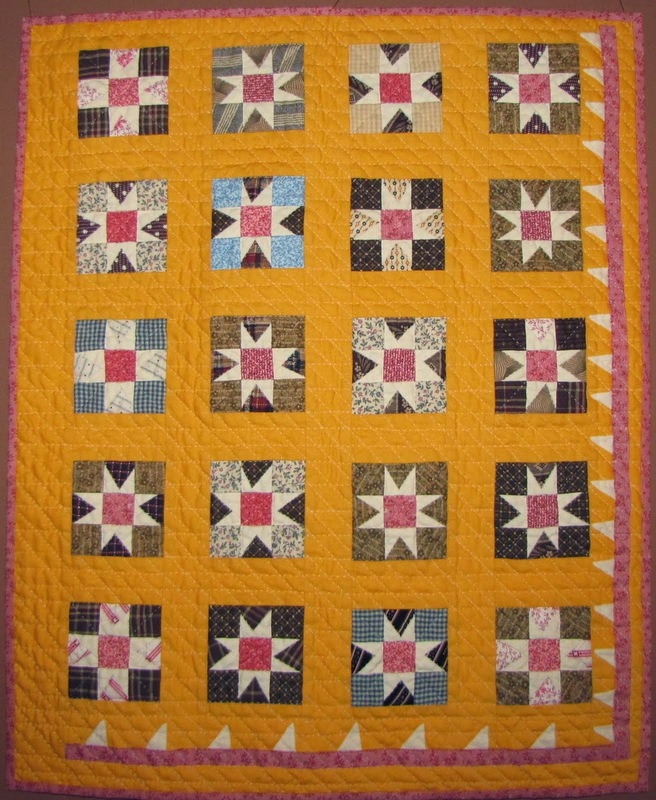 The blocks are a pretty standard Whig Rose or Rose of Sharon but that border is not standard by a long shot. 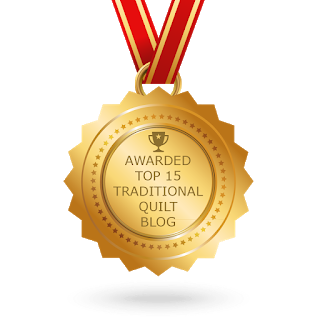 You can see another Whig Rose quilt in my banner pic and type in rose in the blog search block to see more of the banner quilt and another in my collection. 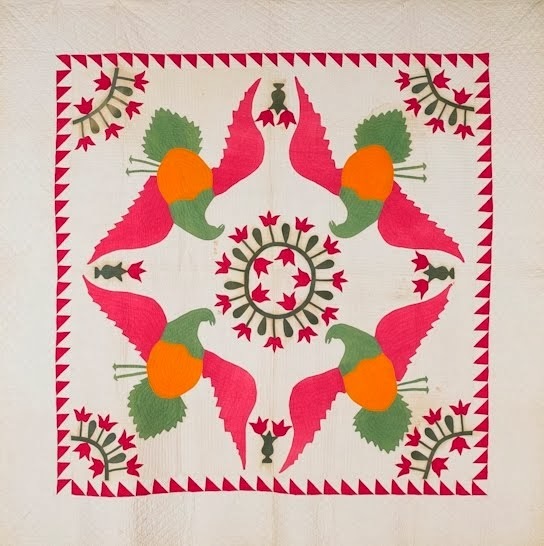 This would have originally been a red and green quilt but the red was fugitive; see the rose center, buds and flowers and the 'ghost birds' in the middle of the border. Almost makes one want to find some turkey red (TR) and start appliqueing. Too bad the original maker didn't use a real reliable TR--maybe she got some fake TR, an unreliable synthetic dye or dyed it at home. 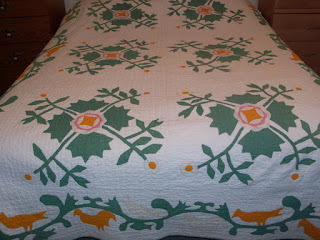 But the funky appliques more than make up for the faded reds. Here again, fish, bird and don't forget the cheddar rooster! Hand appliqued and machine quilted. Circa 1870. Large, 74 X 104 inches. HELP NEEDED! The seller saw a picture of this border on another antique quilt in some antique quilt book but can't remember which one. 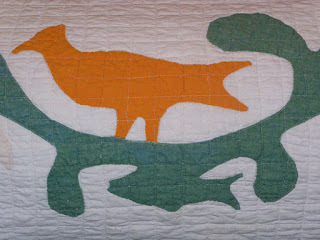 I will give a reproduction fabric charm pack to the 1st person who finds another bird/fish antique quilt border. Start hunting.